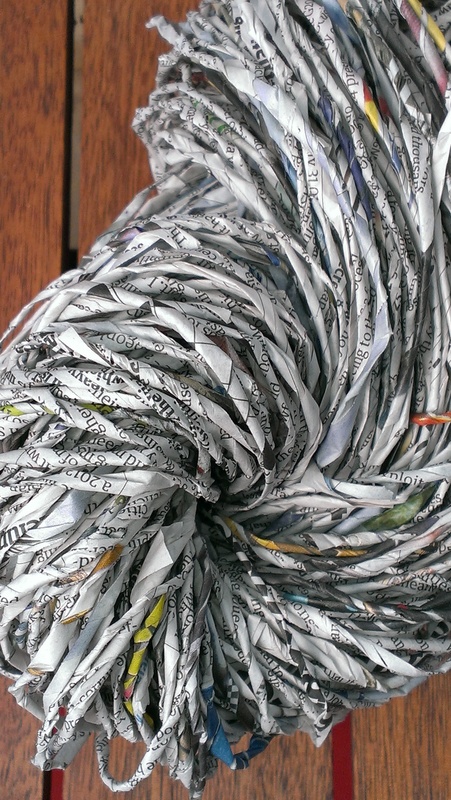 And then I spun some newspaper into yarn and knit a hedgehog. I am surprised how much I like it. I may have to do it again. 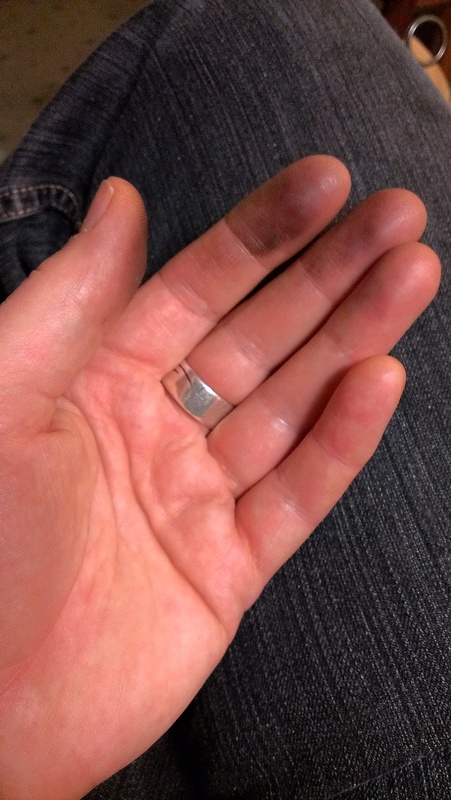 There was some crocking (dye rubbing off), but since I didn’t dye this, I didn’t feel bad about it either! 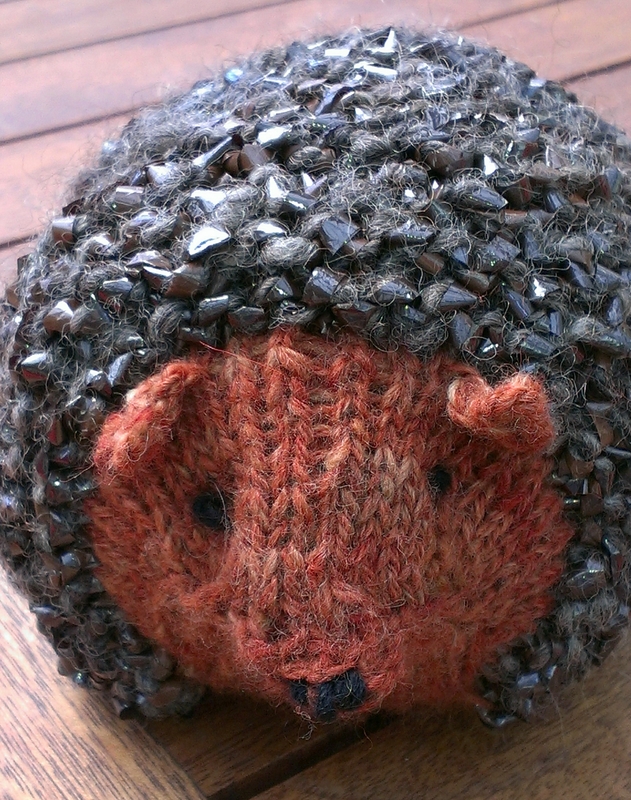 The pattern is Knit Hedgehogs by Purl Soho. Friends came over late in the evening to sleep over, go to the airport and leave their dog with us while they are in Melbourne. There was a lot of hilarity, beginning with ‘What are you doing? !’ Then there were suggestions as to whether it looked like an echidna (or a puffer fish), whether my embroidery improved the likeness (or not), whether it was cute (or suspicious)… Then there was consultation of the interwebs about whether hedgehogs have ears or tails. We don’t have hedgehogs in this country and we had to reference Wind in the Willows or Beatrix Potter or some such anglophile literature we’d been exposed to as children for any information about hedgehogs we ever had. So then there were many showings of cute hedgehogs from the interwebs. I’m not sure what the dog made of it. In short, I still have a lot of cassette tape yarn left!! I have a soft spot for hedgehogs! Funny, since I’ve never seen one! But I got long letters from my son, when he was in Italy doing foreign exchange as a teenager….. he was lonely at first, and his only friend was a cute little hedgehog who lived in the backyard of his host family. I’ve been collecting them, and sending them to him ever since. Oh…. 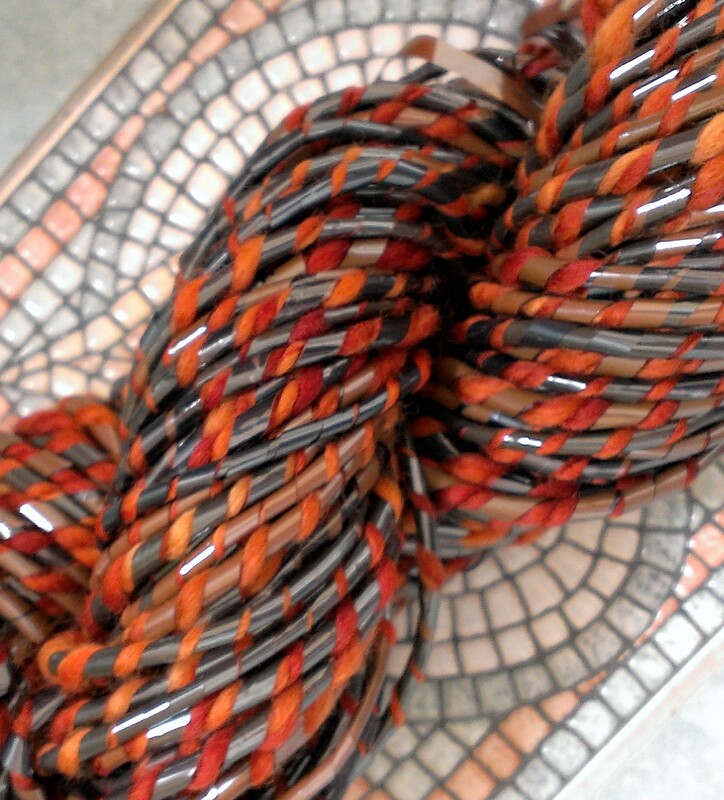 I also love the idea of using cassette tape as yarn! 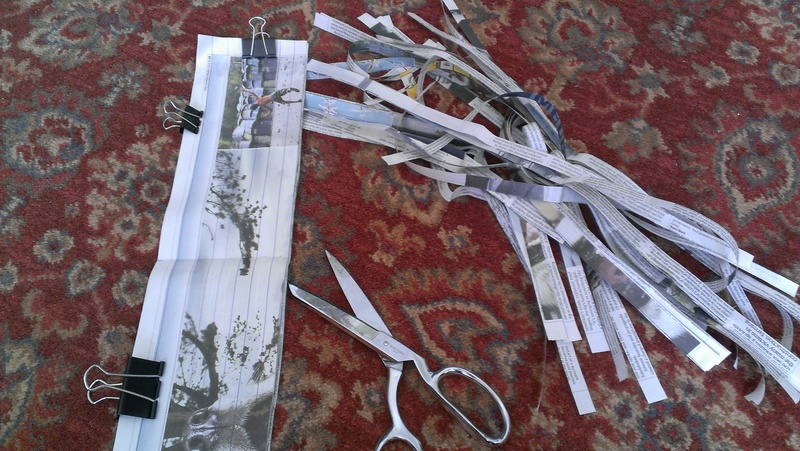 Did you know that you can weave cassette tape, and then play it!? Cool, eh? I would love to have him!!! Of course I would then send him along to my son, with the story of his making. I can reimburse you for the postage! Oh…. wanted to tell you. I planted a eucalyptus nicholii this past weekend 🙂 The seeds that I planted last year all died. So I found a nursery and bought a 15 inch tree. The hedgehog in the post pack! I’ve deleted your address so it doesn’t appear on the blog for posterity. I hope your seedling goes better than the seeds. My E Nicholii is still alive but we lost an E Cordata over summer. awwww….wonderful!! A friend in Germany found a baby at the bottom of her stairs and rescued it. Fed it and cared for it (built house and environment out of boxes and toiletpaper rolls) till it was big enough to take to a wildlife rehaber where it would stay till weather was milder and it was old enough to be released. Too bad I can’t include a picture here. I think your little guy is pretty spot on! So glad it was a baby hedgehog! Thanks for the compliment and the link. It is so hard to believe that spun paper could be durable enough for carpet. I’ve heard of Japanese traditions of spun paper, but nothing about Scandinavia or Finland. Thanks a lot! Also just remembered about Lloyd loom furniture – wicker-like made of paper fiber. Found this link which shows how paper fiber is made and also has info about L.L…. the tangents the interwebs inspire! what fun. The little guy arrived here yesterday!! He is even more adorable in person, than in the photograph! I can’t even begin to have the words to thank you….. I am overwhelmed at your generosity! I love him…. and so will my son (I’ll send him on up to Portland, along with the little rag doll I’m making for my grand daughter, later this week). So glad you like it, Julie! You are very welcome. Your son’s a lucky man having you for his Mum! Casette tape yarn. Brilliant !In my ideal world there’d be an arts-barter store in every neighbourhood where someone would store this kind of waste material for lovely future uses & users. Like a utopian Wall-E. Will show my kids.